Street performer Philippe Petit was arrested immediately following one of his most famous acts of performance art. Poet Alan Ginsberg was taken to court over over Howl. Artists such as Invader and Banksy both keep their identities a secret to protect themselves. Though making art is already something of a rebellious act, there are certainly some instances for some artists where actual legal and safety boundaries become clear. Whether you’re a street artist, a citizen journalist, or a yarn-bomber, it’s essential to know your rights, both as you’re creating your work and after you put it out in the world. Seriously, the best thing to be aware of is how strict the laws around things like trespassing, defacement of public property, park hours, and even loitering may be. Some cities are lax about acts of public art in parks, others are quite litigious. If you’re going to be doing anything outside — even taking photos — Google around to see if you need a permit, how long you can stay there and during which hours, and what the punishment is if you do get caught. A $100 fine and no record? Could be worth it. Jail time? Not so much (although maybe!). This also pertains to musicians. Buskers have been arrested even when they are, in fact, acting within the law — but most often, street musicians actually don’t know when and where they can play. Want to strum in the subway? Look up the requirements for playing before you bust out your guitar. Putting your art on the street for all to see is exhilarating — but does that also give up your right to work itself? If you’re curious about copyrighting some of your work, the best thing to do is contact a lawyer and ask about what you’re thinking of doing. And if that sounds expensive, remember that a.) there are some organizations who offer inexpensive and free legal council to artists and b.) it’s less expensive than having to sue a giant retailer when they rip off your work for a t-shirt. Know what you can ask for. Does your country have a Freedom of Information Act or something similar? If so (you can check here), you can request large amounts of information for your works. If you want to know more about a person, historical event, or government dealing, FOIA-ing and requesting public records can be extremely informative. Brush up on ethics, if that’s relevant to you. 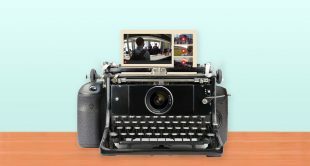 For citizen journalists and documentary filmmakers, knowing the ethical guidelines of the field can be a good roadmap to not only your legal rights, but the rights of others and the best practices of your field. There are plenty of books and texts available — so before you start writing or shooting, it’s probably a good idea to hit up Amazon or your local library to read up on what others have written on the subject. Seriously, ask. If you’re not sure what you can or can’t do, what you should or shouldn’t do, or where the boundaries are, seek guidance. Ask your community, ask local outreach groups for artists, and research the hell out of your medium and the people who have come before you. Art is a community endeavor, and if your art takes place in the community or serves the community, it’s in your best interest to ask around and find out how to best be a part of that community.